Proper maintenance of your spinning wheel is important to insure ease of use and quality performance. If you purchase an unfinished wheel, it will be necessary to treat it with a finishing wax or polish, in order to preserve the wood. Even if you have an older wheel it is a good idea to treat the wood from time to time. The hooks on the flyer may also need to be replaced from time to time. 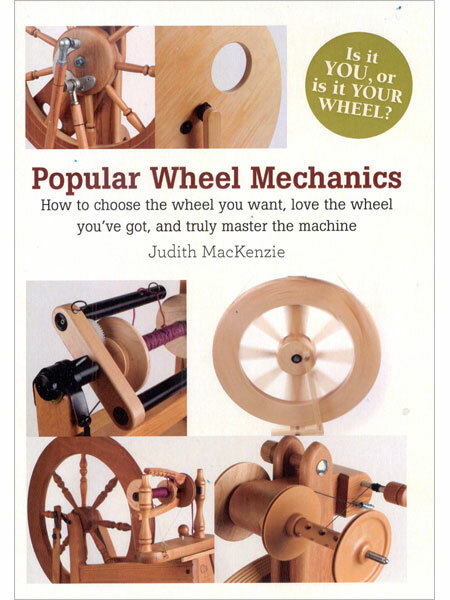 Some wheel manufacturers will offer a maintenance kit that includes the flyer hooks; drive band, leather or plastic connectors for the treadle, and oil. Do not store your wheel in direct sunlight, near heat, or in an humid environment. If you do, your wheel may warp and you will need to find a specialist to repair it. Or you may have to replace it all together.